Mountain Lyon Cafe Tuesday, Aug. 14, along Blue River Parkway in Silverthorne. The Mountain Lyon Café, a supremely popular and oftentimes packed restaurant in Silverthorne, has found its new den. 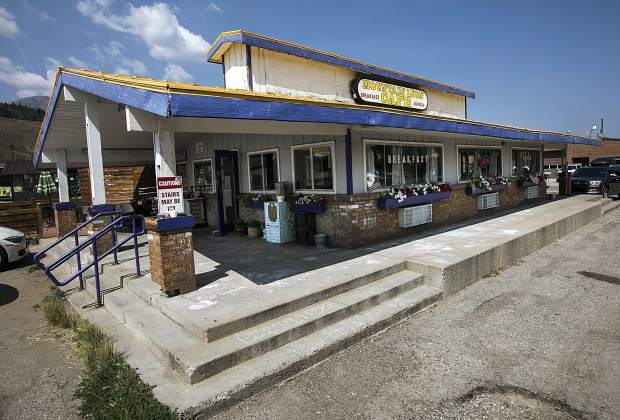 A staple of Summit County’s breakfast and lunch service for well over two decades, the café will continue as it has. The only difference is come fall the café will be at 122 10th St., down the road from its current location of 381 Blue River Parkway, according to longtime owner Rob Lyon. With the move, the Mountain Lyon Café will take control of the building that has housed the Nepal Restaurant across the street from Grease Monkey and in front of Silverthorne Power Sports. Speaking to nearby businesses, Lyon knows he’s not the only one “psyched” to see the Mountain Lyon Café migrate a few blocks north. Lyon aims to open inside the new location this November. The restaurant might have to close for a day or two to move some kitchen equipment around, Lyon said, but if everything goes smoothly, there shouldn’t be any down time. Development in downtown Silverthorne is precipitating the move. With the town planning to raze everything on the block between Third and Fourth streets west of Blue River Parkway — except for The Mint — to make room for the Fourth Street Crossing mixed-use development, Lyon felt like he needed to find a new home for the café. He bought the business in November 1993 with two partners, back when it was Landry’s Restaurant. The trio renamed the business the Buffalo Mountain Café. Only a year or two after that, Lyon bought out his business partners and again changed the name, this time to the Mountain Lyon Café. Lyon and his wife, Kayelee, have been running the restaurant ever since. Now, they’re preparing to celebrate the Mountain Lyon Café’s 25th anniversary, marking a quarter century in business in Silverthorne. Keeping up with maintenance on the building constructed in 1973 can be a chore, Lyon explained. Also, the new digs will be about 25 percent larger, giving the café’s diners more seating and an inside waiting area. Right now, the café gets so crowded, especially on weekends, that customers often have to stand in the aisles or outside while they wait for tables to open up. Additionally, the new location will have about twice the patio space. Lyon said they’re currently working to remodel the new location. They’re not moving any walls around, but they will be bringing in some new equipment and updating the dining room with a few finer touches like new paint, carpet and curtains. While Lyon will enjoy the additional space inside, better parking options outside and a newer building, he’s not making any wholesale changes to his operation. In fact, Lyon said his customers can expect to order off largely the same menu, experience the same fast service and enjoy the same atmosphere that’s made the restaurant a success over the years after the move. Things have been happening pretty quickly too, Lyon added. Preparations for the looming move are going faster than he thought they would and he’s excited to see things coming together. Lyon remains somewhat nervous about the move, especially considering he’s leaving a building behind that’s been good to him over the years. But the bag of mixed emotions is also full of excitement surrounding the move, appreciation for the staff and locals who’ve supported the business for so long and Lyon hopes people will support the café for Best of Summit this year. More than anything, Lyon said he sees the move as “another new adventure,” and he is quite happy he’ll have plenty of room to park the Mountain Lyon On The Run catering truck there, too.